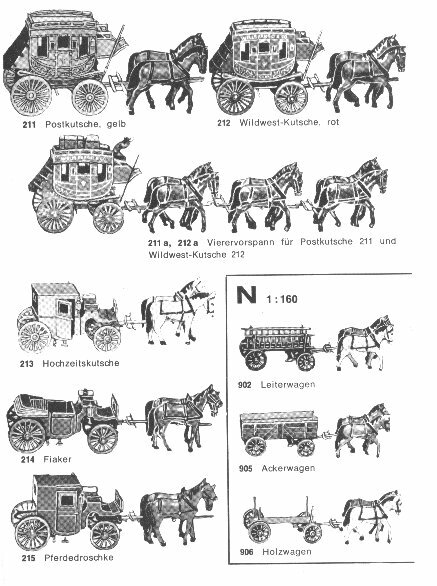 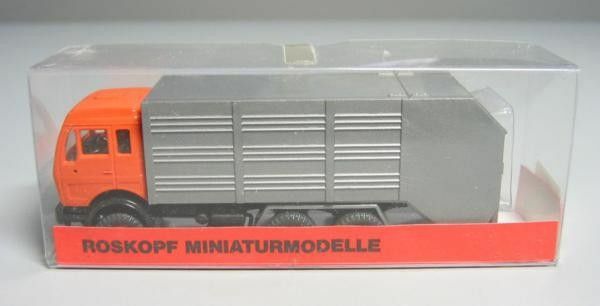 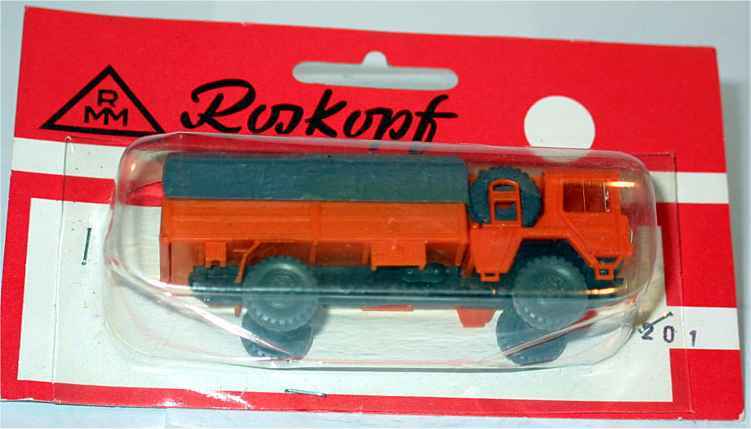 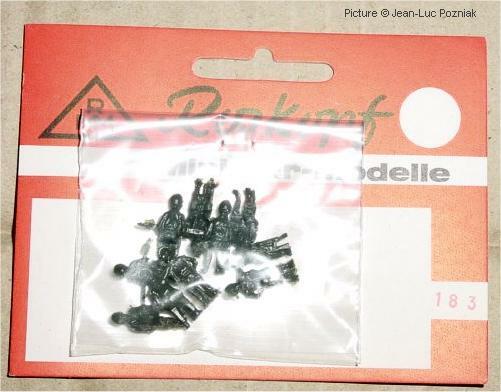 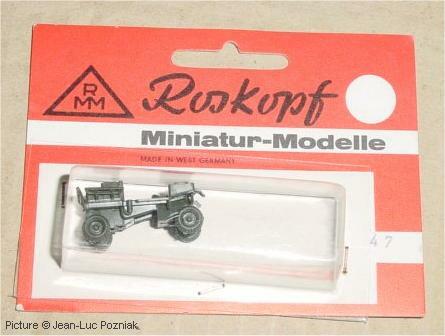 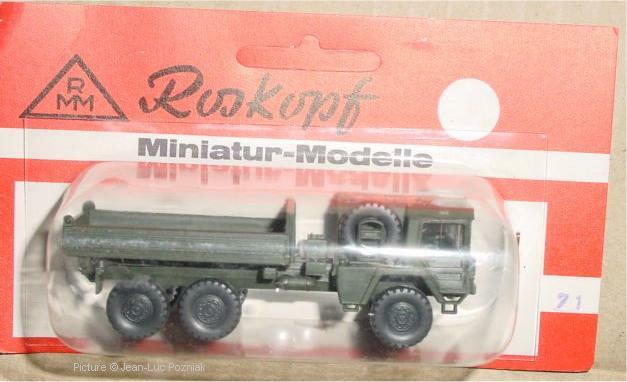 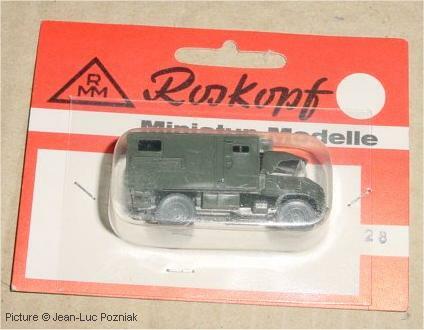 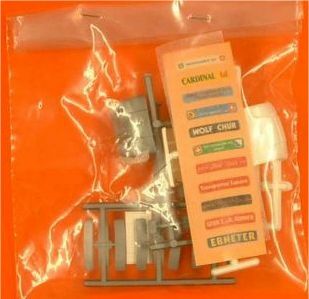 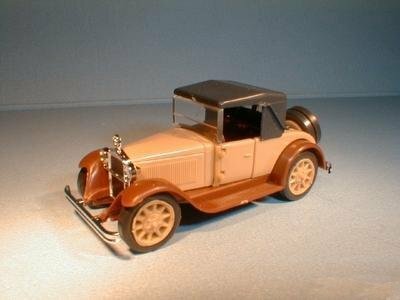 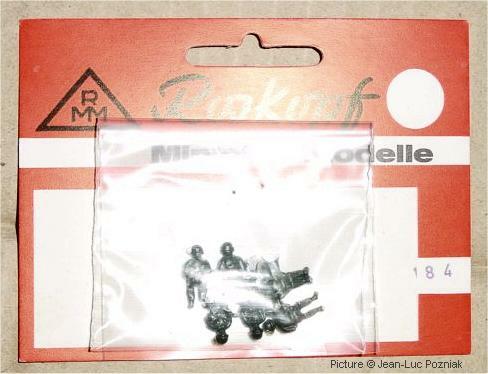 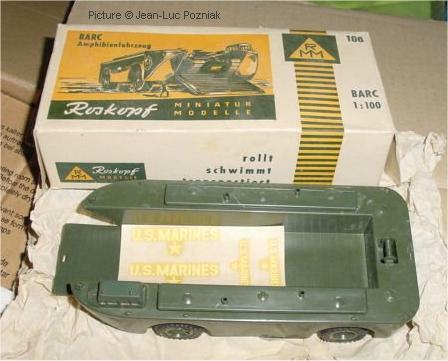 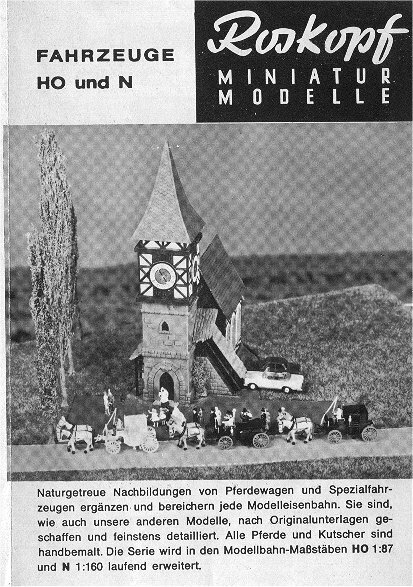 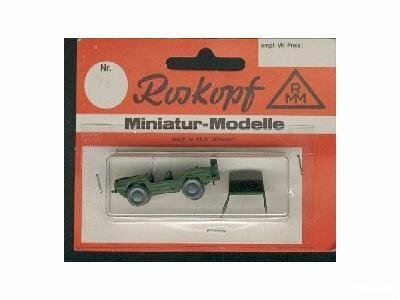 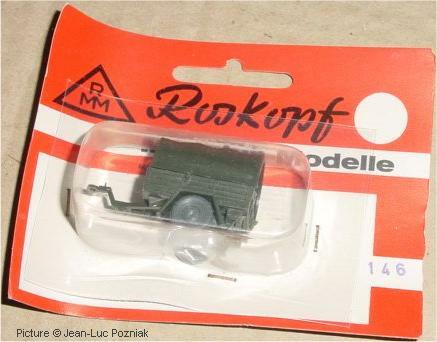 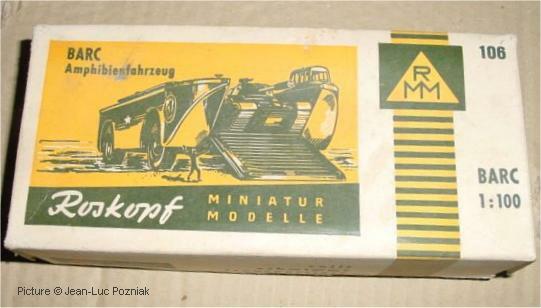 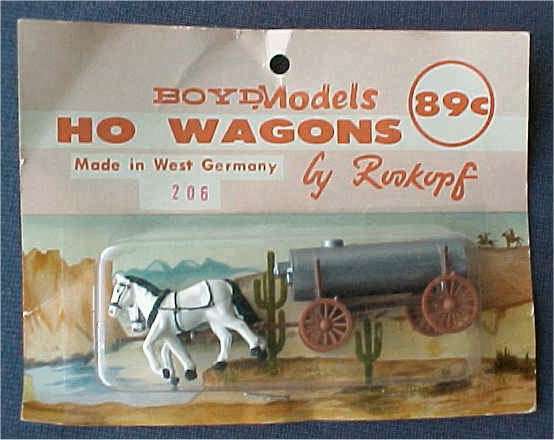 Roskopf Miniaturmodelle was founded in 1955 in Berlin, Germany by Mr. Marcel Roskopf and started with models of horse-drawn carriages (some of these are still in the Preiser program, and the 'RMM' in a triangle logo is still on the bottom). 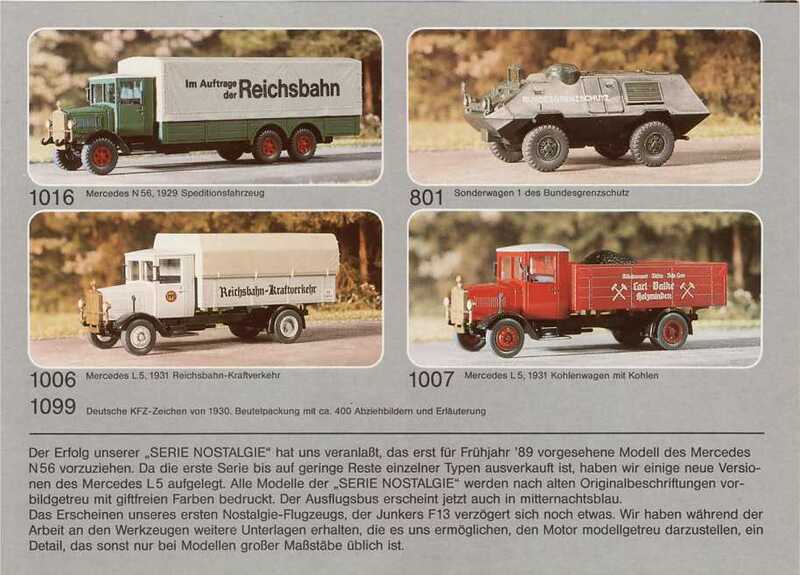 The company switched to making military vehicles in 1/100 scale later on. 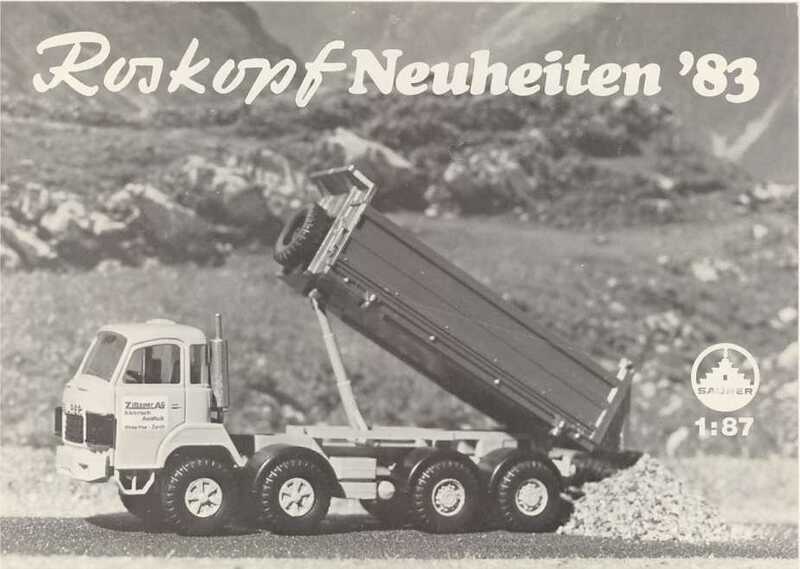 Due to the growth of the company, they moved from Berlin to Traunreut in 1958 and finally moved to their own premises in Traunstein in 1974. 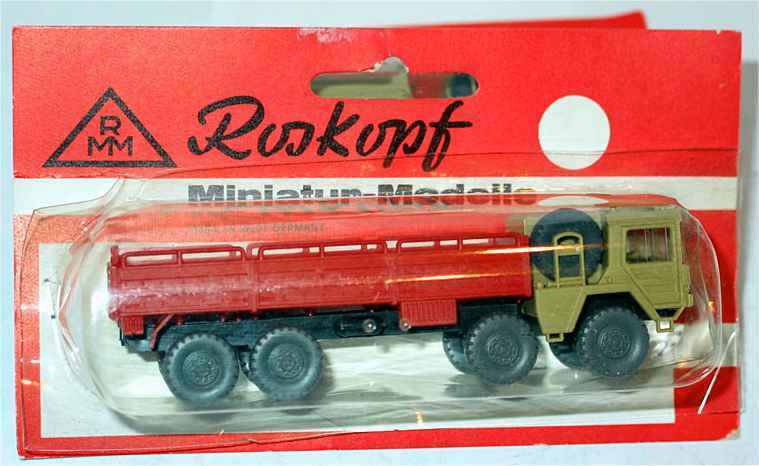 After an accident in 1976, Mr. Roskopf could no longer manage the company by himself and many of his duties were taken over by his wife. 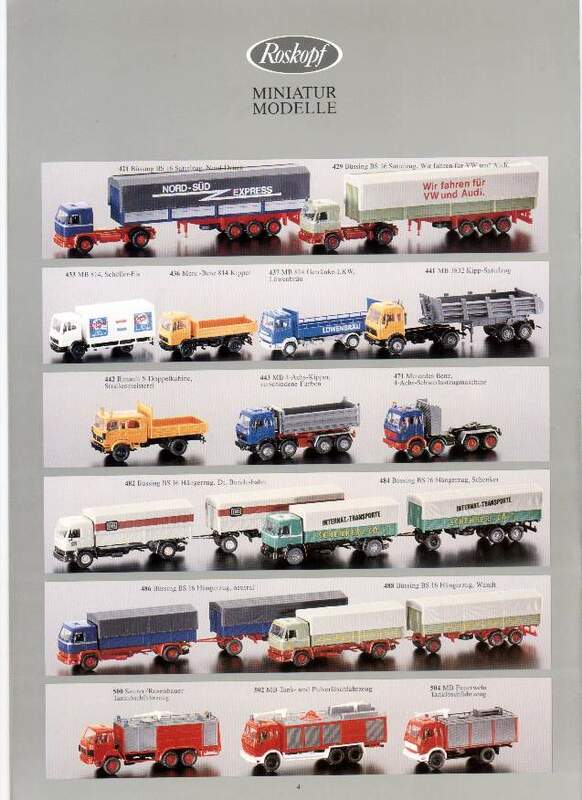 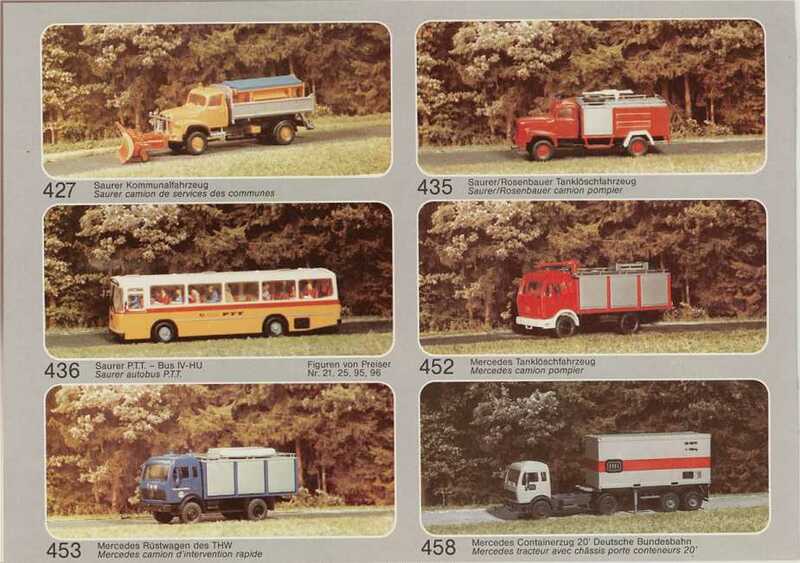 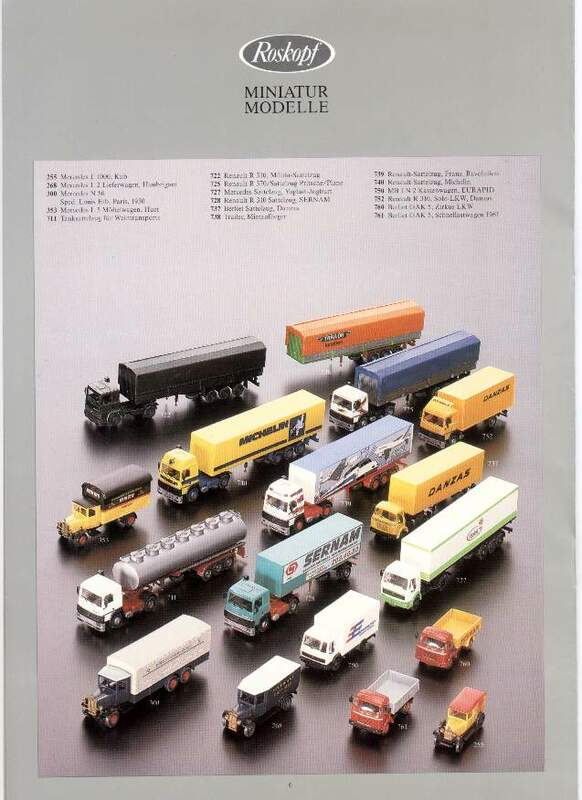 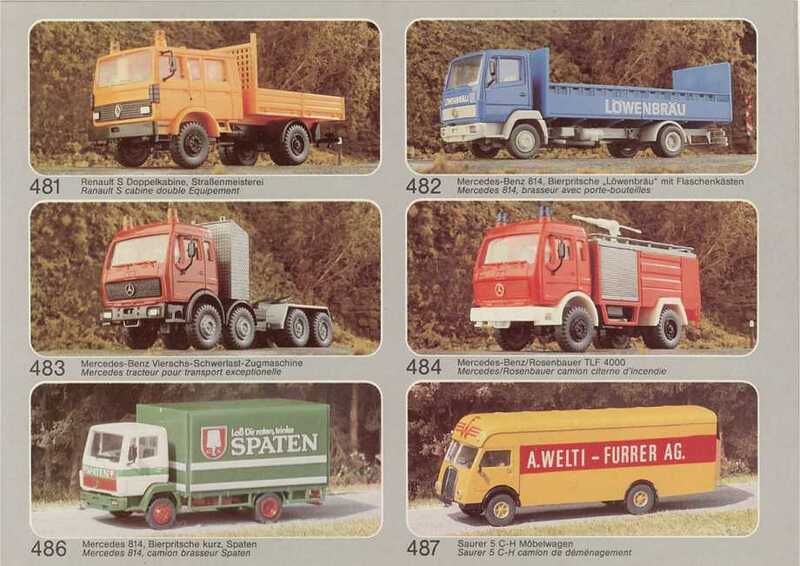 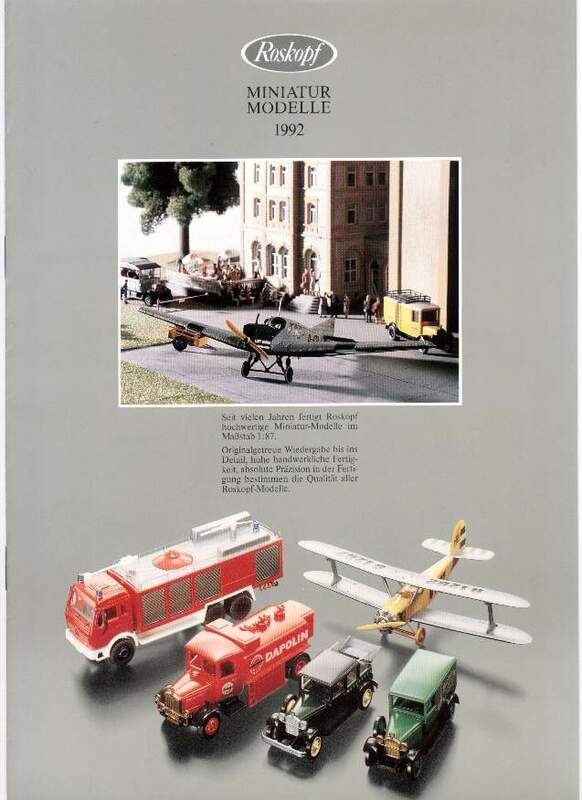 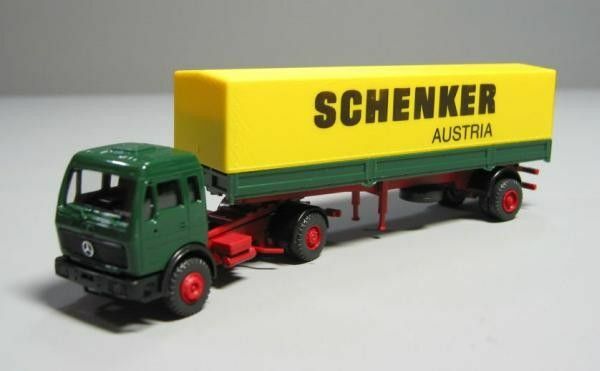 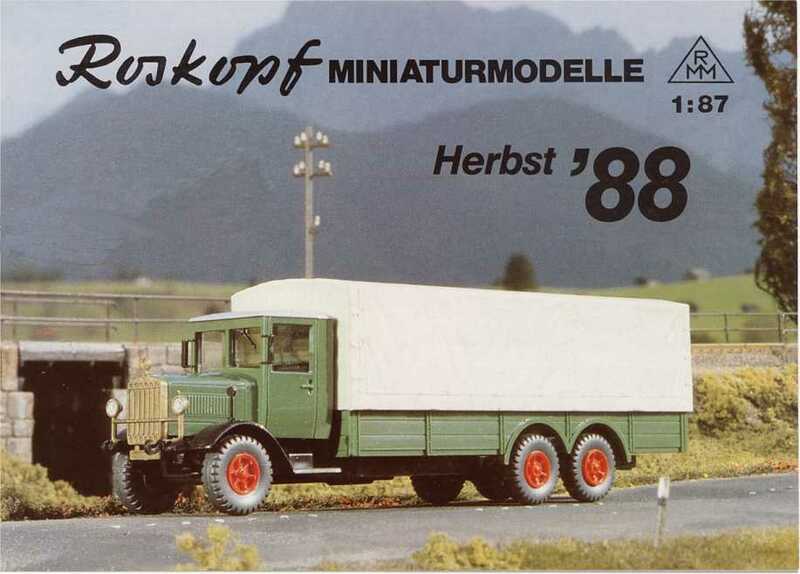 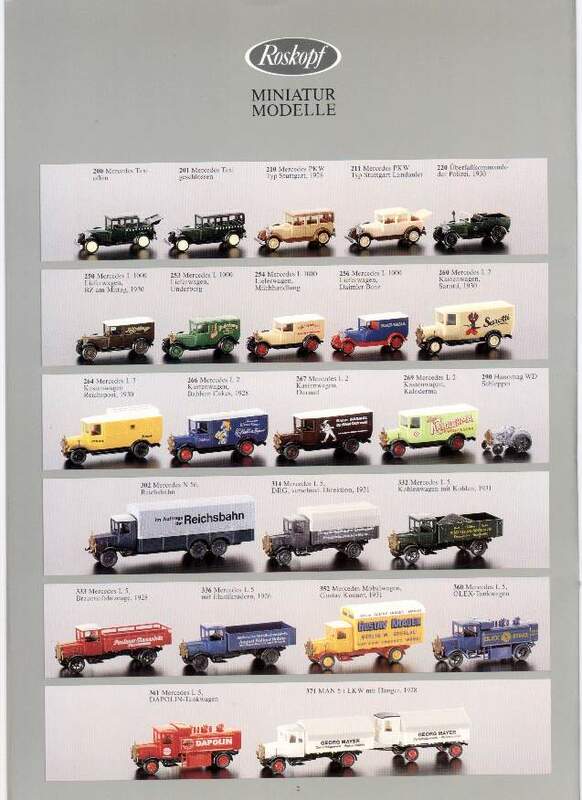 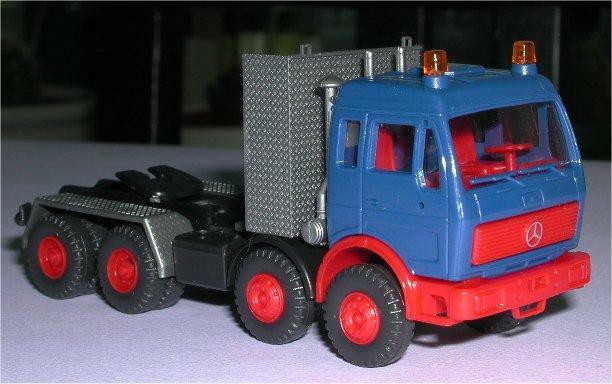 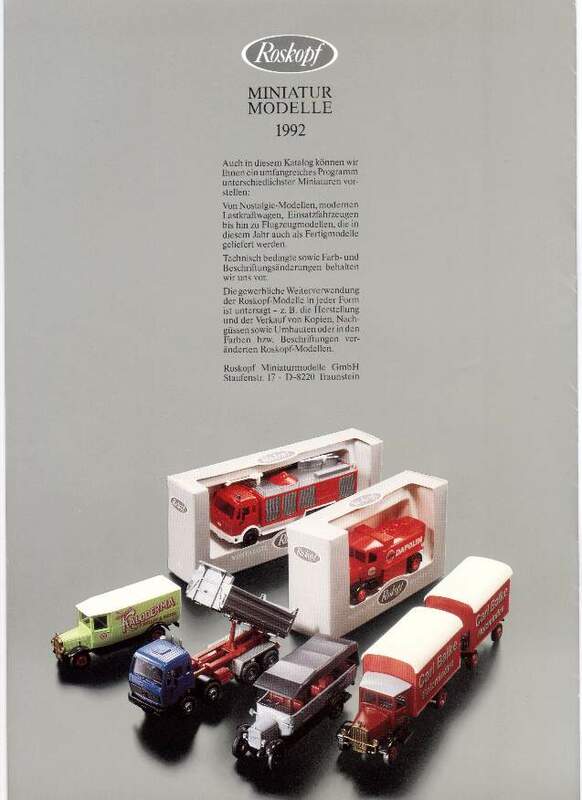 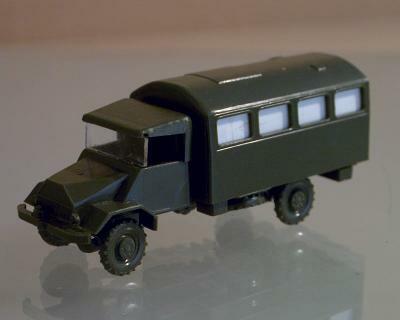 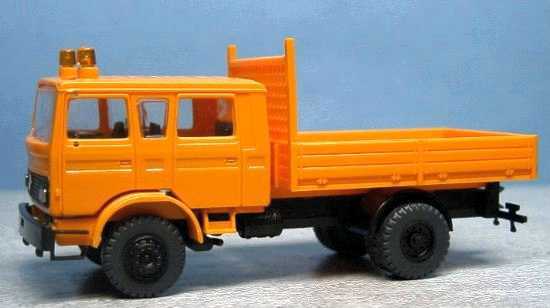 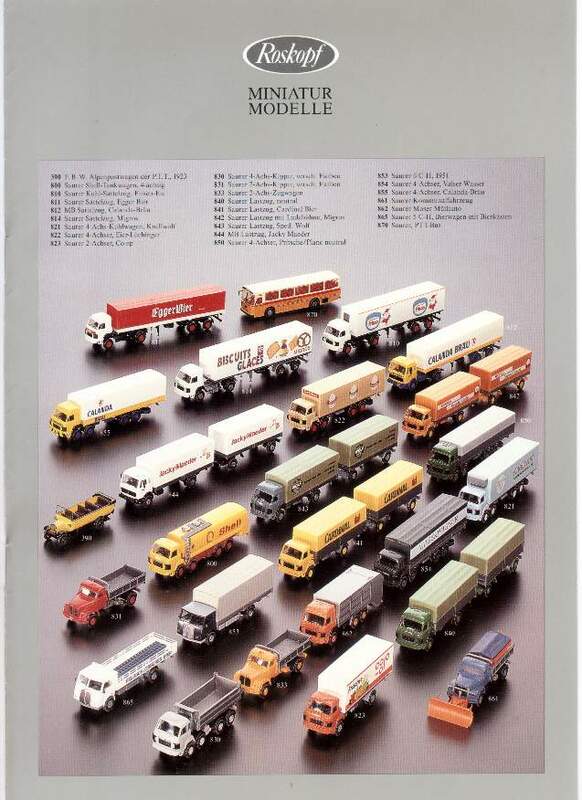 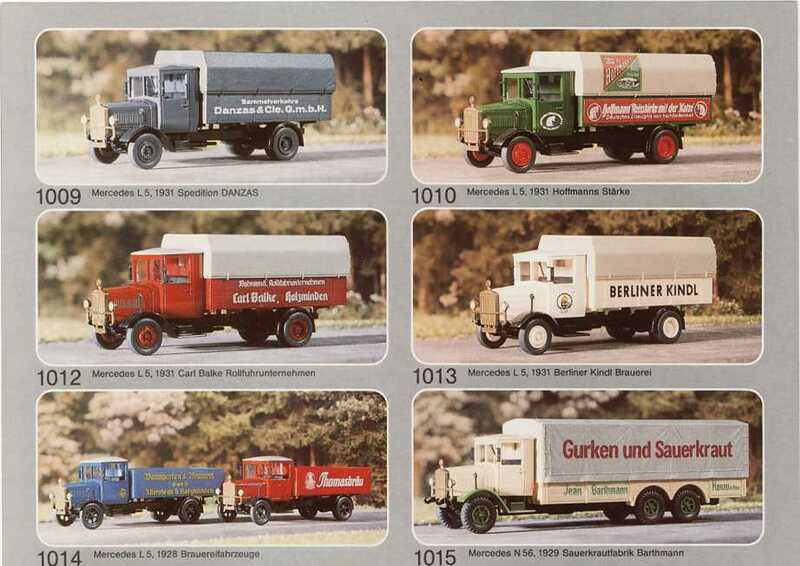 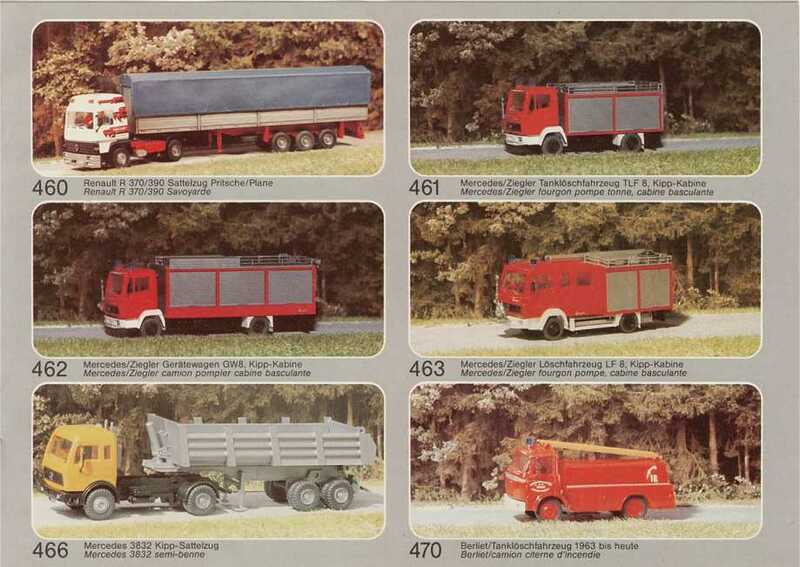 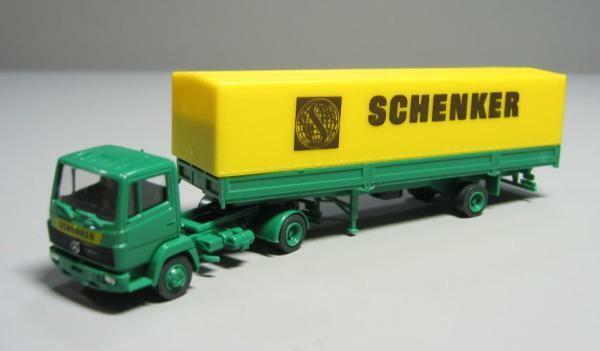 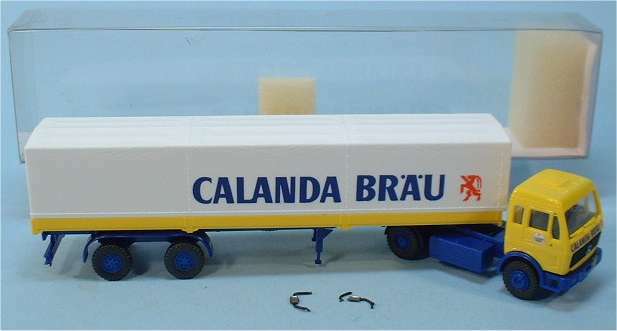 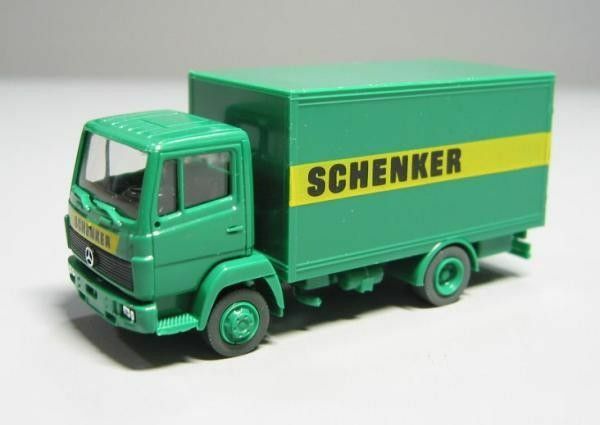 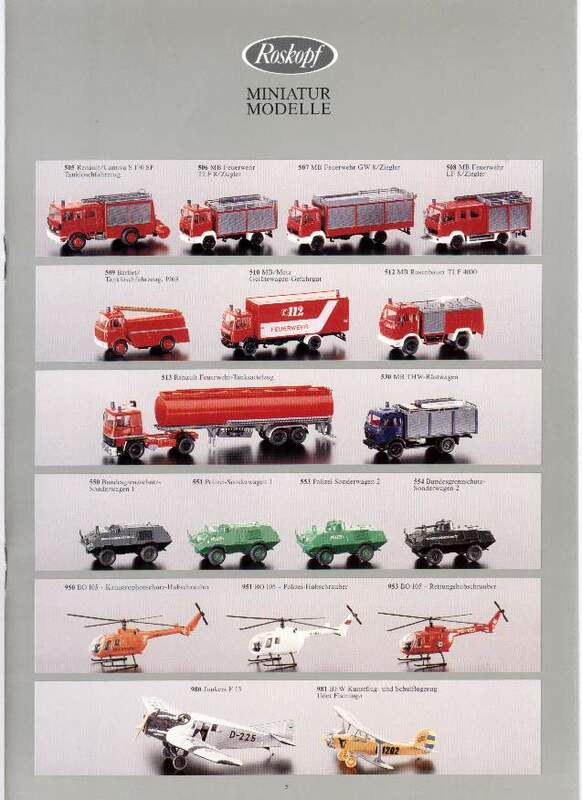 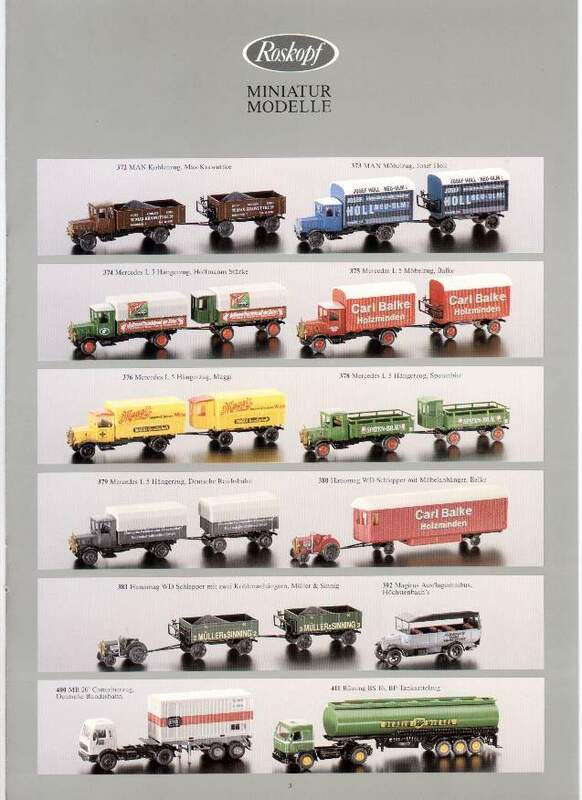 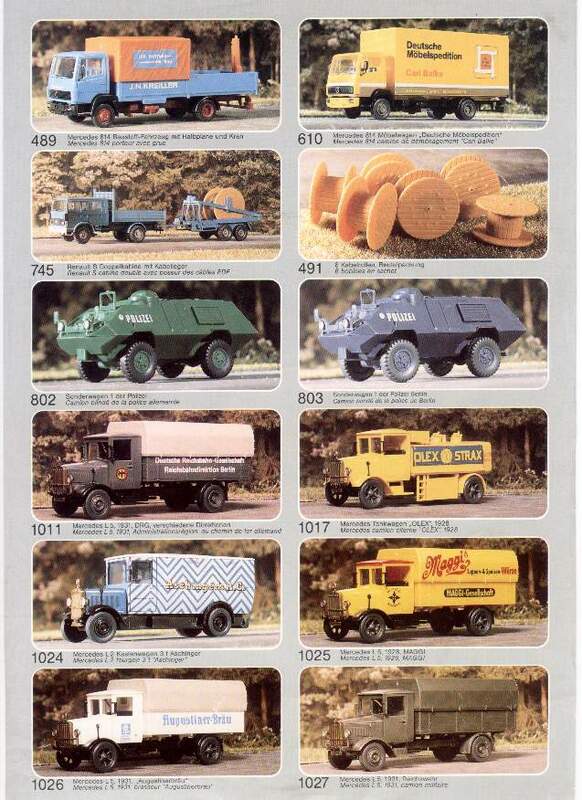 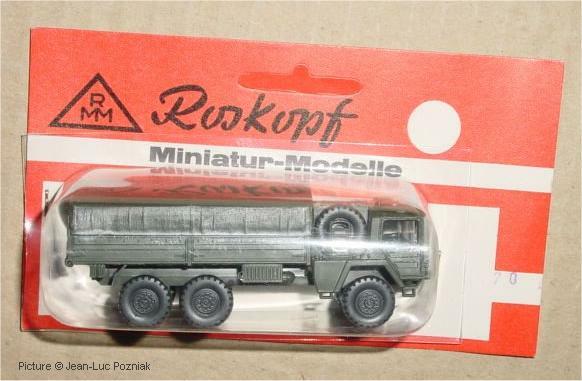 A new range of models, a series of contemporary French and German trucks in 1/87, was started in 1982 and was soon followed by a series of models that were modelled after German prototypes from the 1920s and 30s. 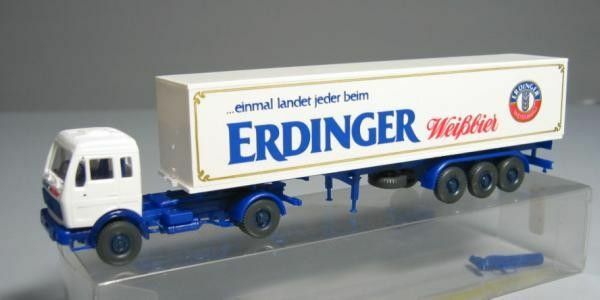 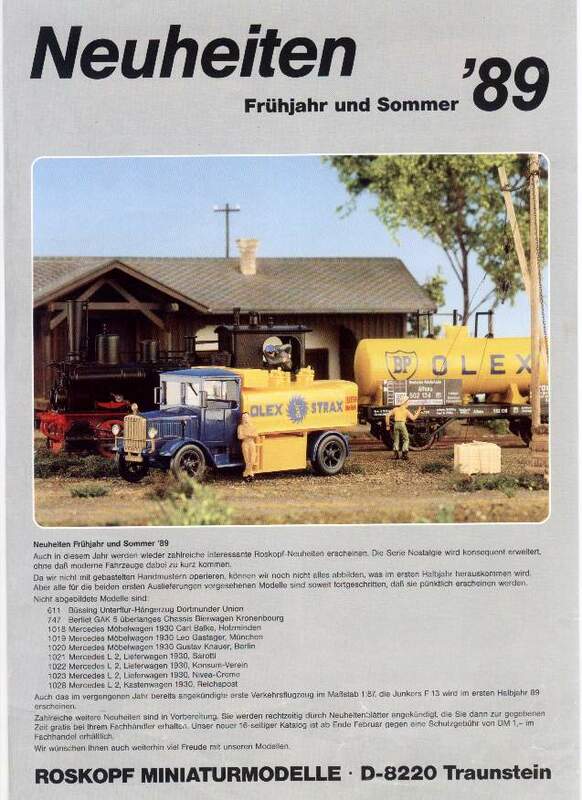 In 1990 the company went up for sale and, although they were not the highest bidder, was sold to Sieper Werke (Siku) which also already owned Wiking. 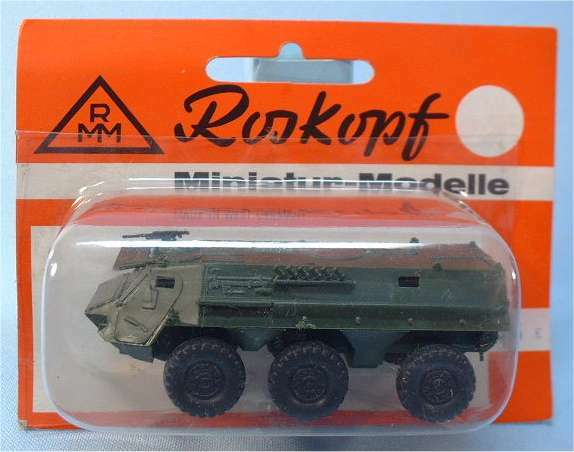 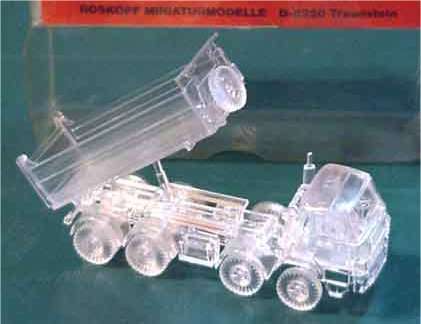 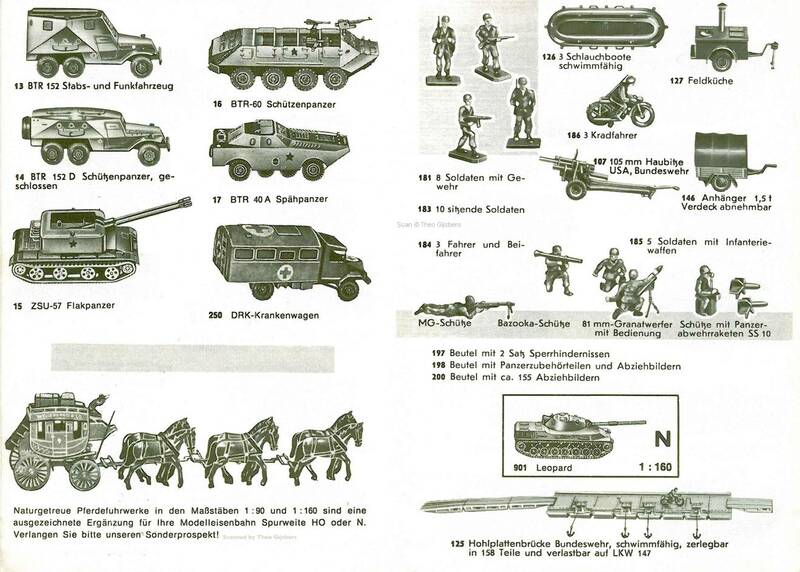 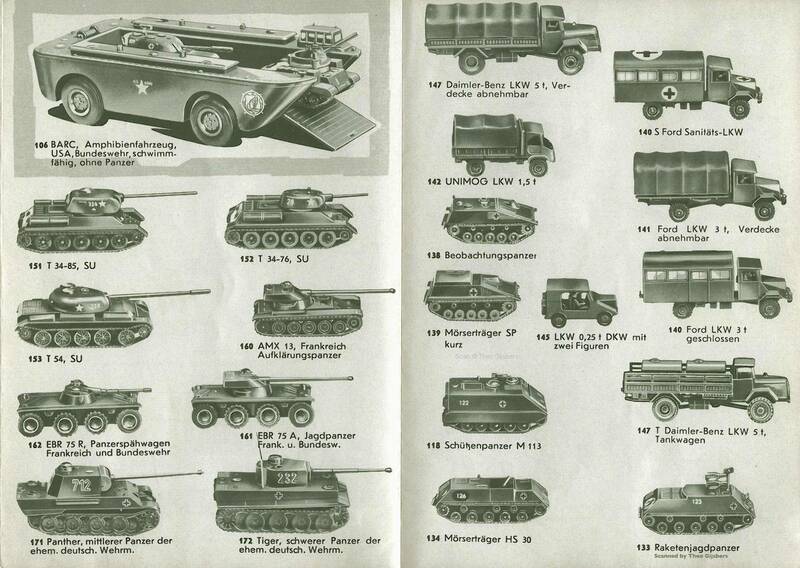 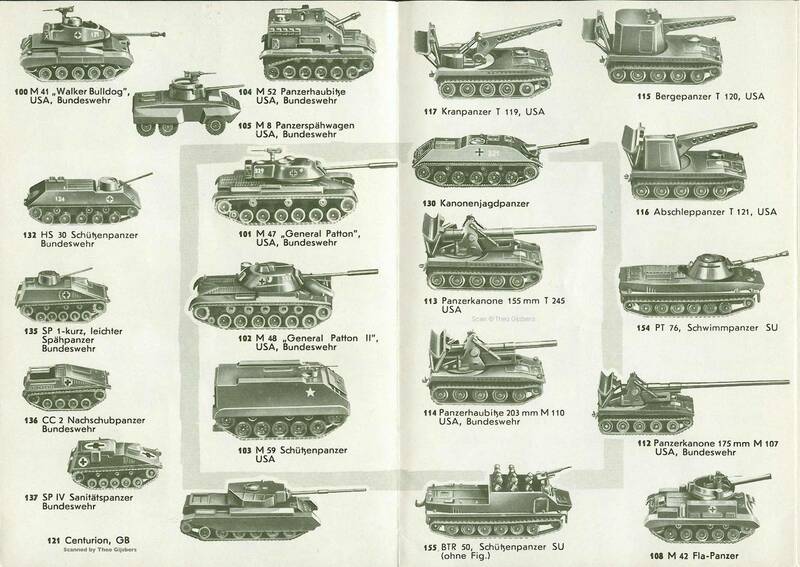 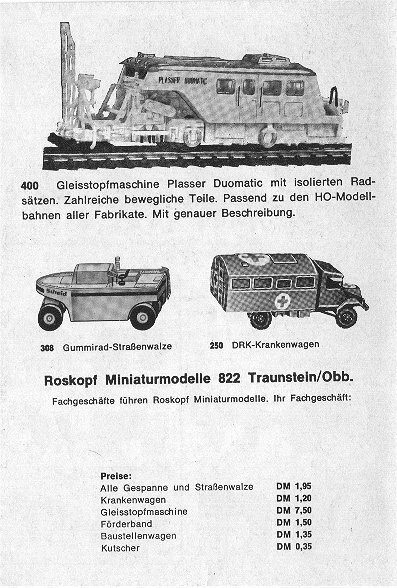 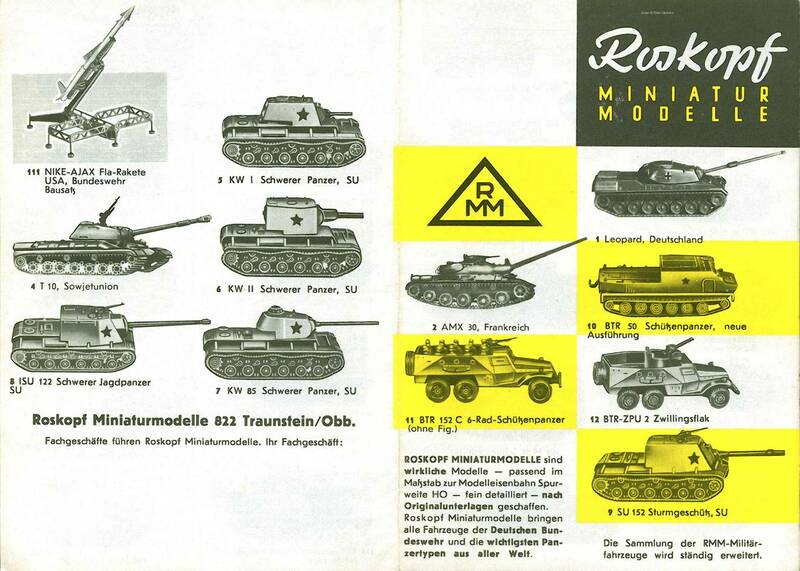 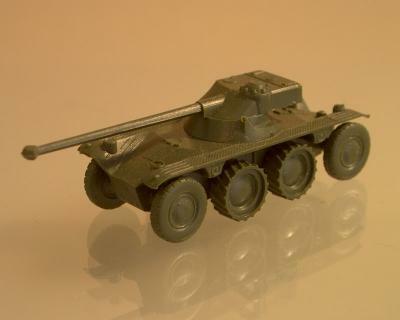 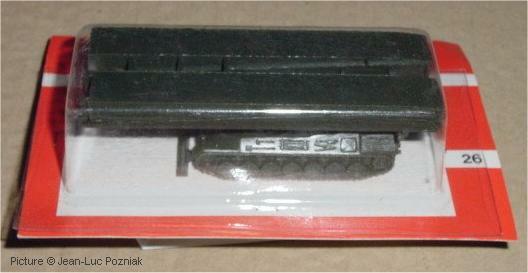 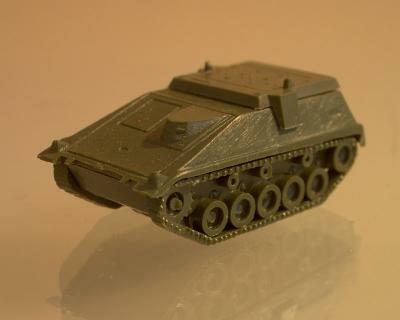 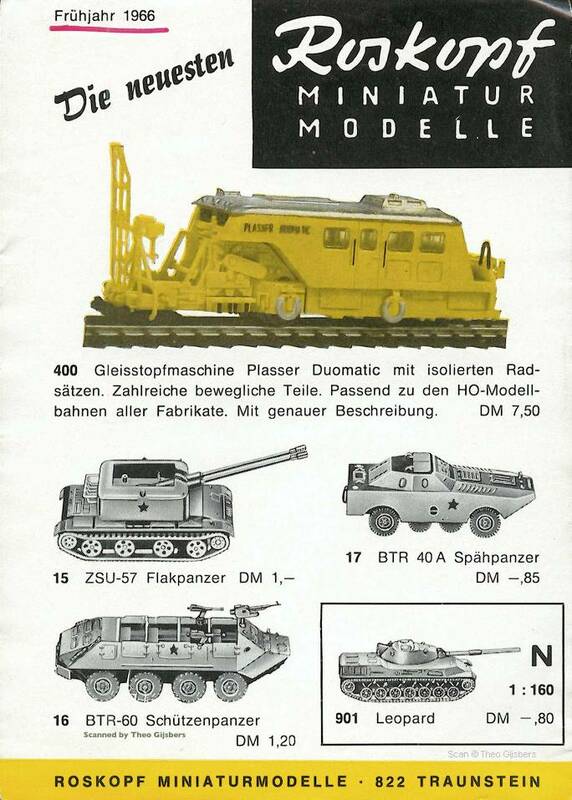 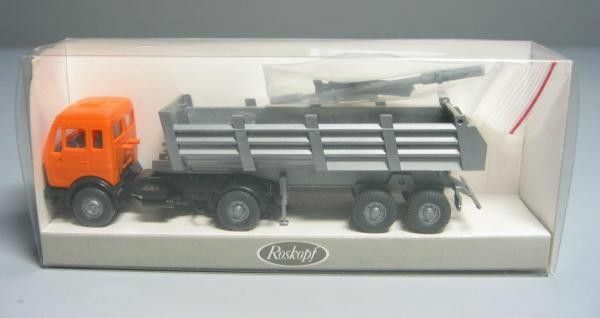 Mr. Roskopf, who died on june 21st 2002, probably assumed that his legacy would be kept in the same way as the legacy of Wiking founder Mr. Pelzer, but soon after the take-over the complete range of military models went out of production and the other models started to disappear from the Wiking catalogue. 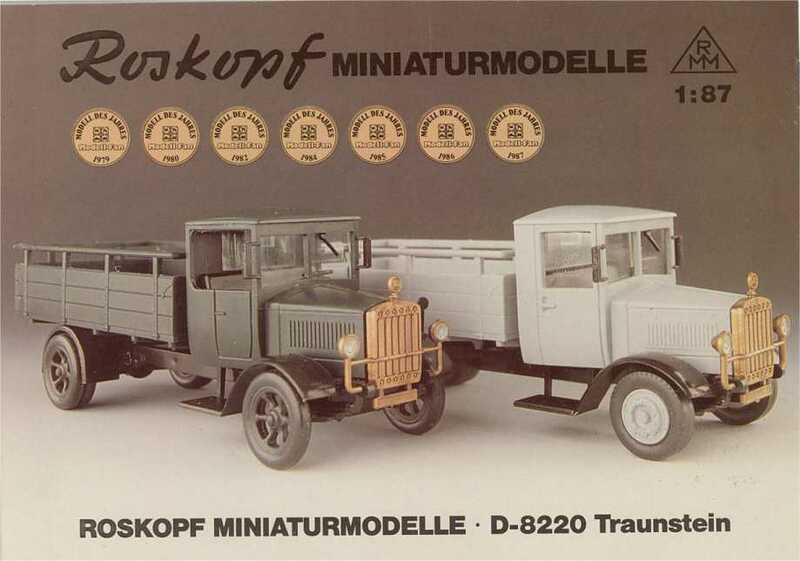 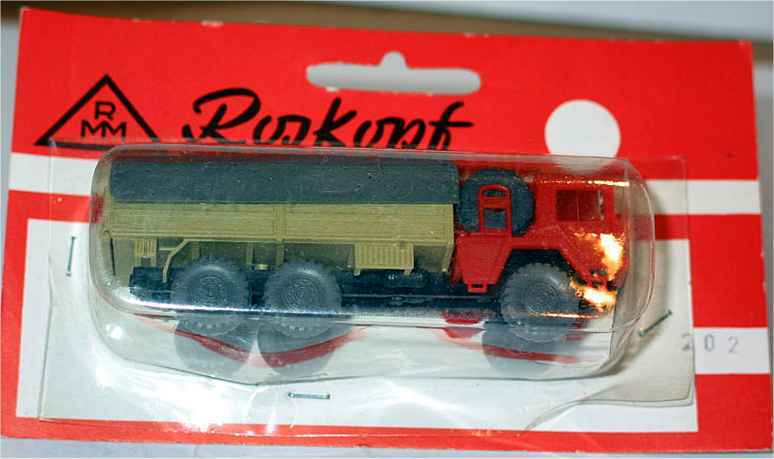 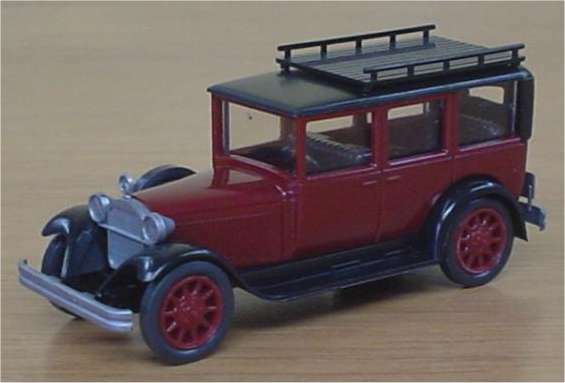 In October 2002, the Roskopf model of the 1928 Hanomag WD tractor suddenly reappeared in the Wiking catalogue, now badged as a Wiking model. 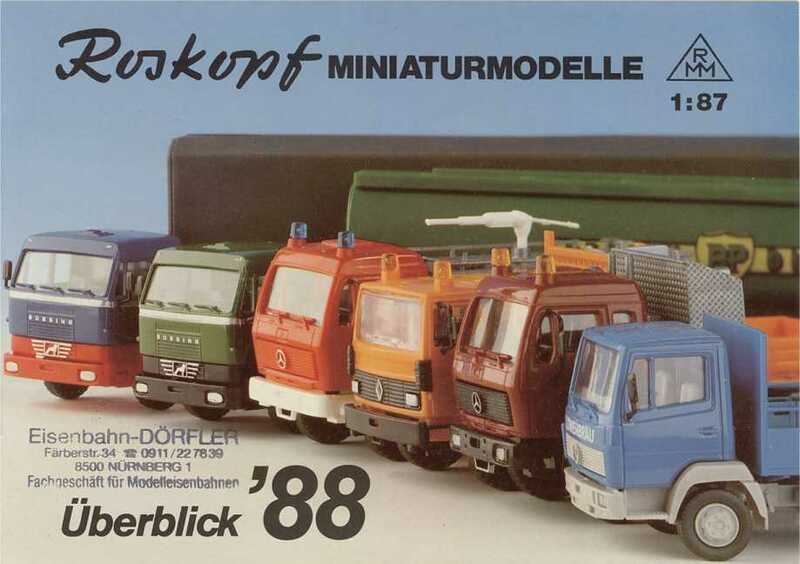 We have received information that the moulds for these models have been sold to an unknown buyer in the USA only two years after Roskopf was taken over by Sieper Werke. 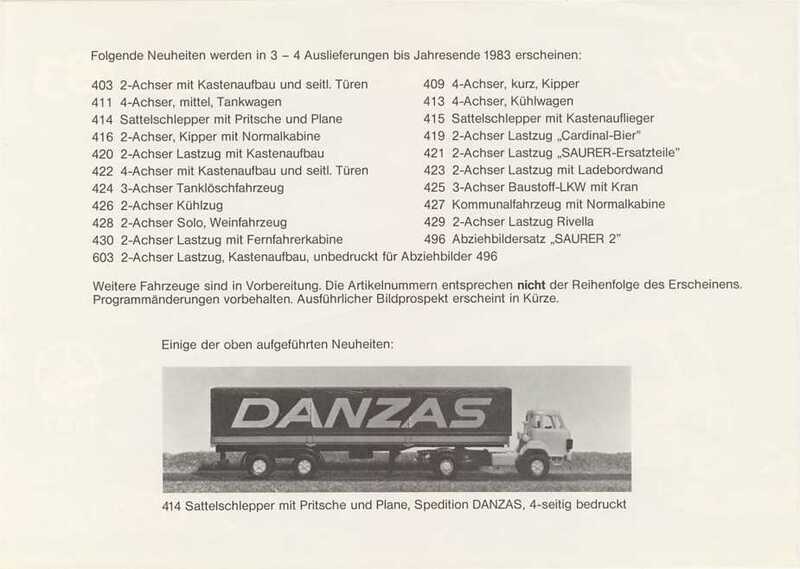 If anyone has more information on this, please let us know ! 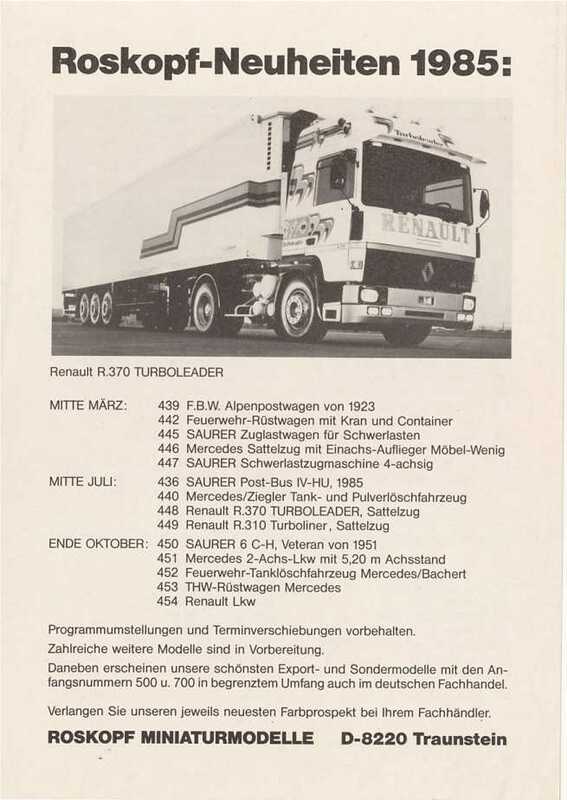 454 ? 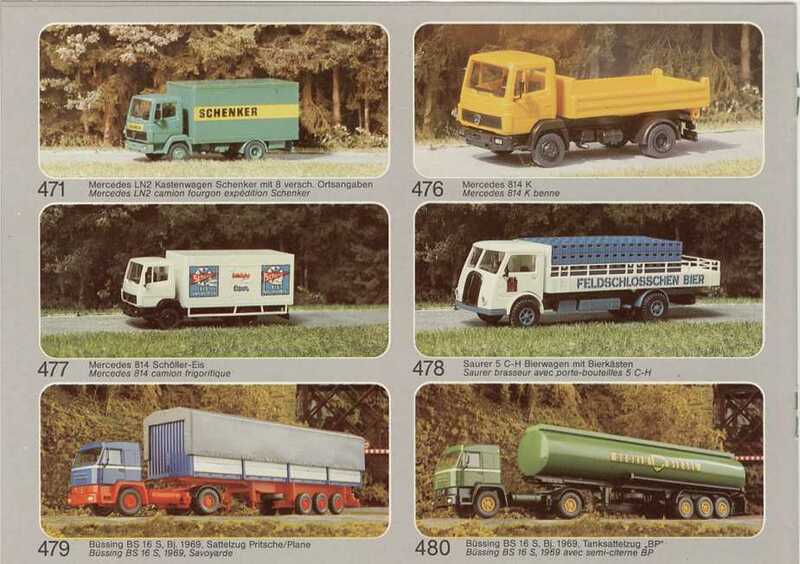 Renault tractor/trailer 'Danzas' ? 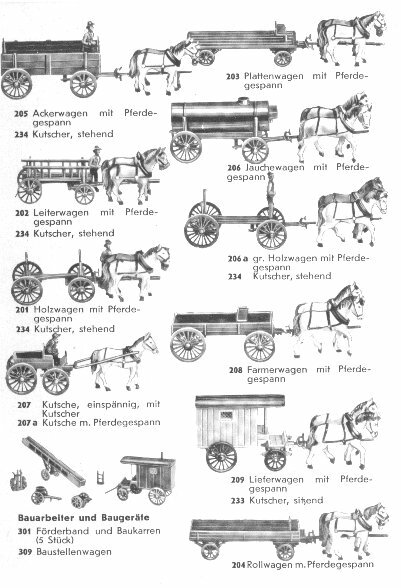 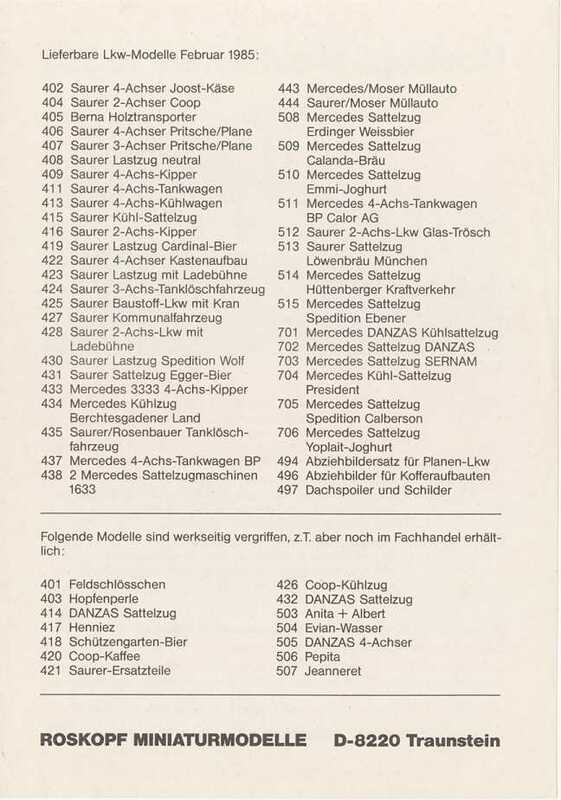 1030 Mercedes L5 Junkers & Co.